2013 marks the 150th anniversary of the opening of the first London tube line, the Metropolitan Railway. 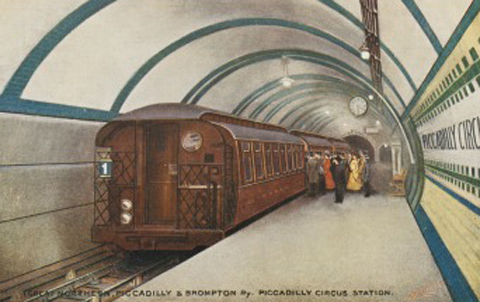 Join us for an event, as we bring together curators and historians to explore the rich and fascinating history of the London Underground. From the earliest tunnels, the first journeys and the days of gas-lit platforms, to the most modern lines and the future of Crossrail. Speakers include Sam Mullins, Oliver Green, David Bowne, Max Roberts, Margaret Timmers, Jonathan Glancey and others.